Flushing Queens, New York – The Lewis H. Latimer House Museum is pleased to present ​Antonio Serna: Lloyd x Latimer and The Energy of Place​, a solo exhibition of new work by Antonio Serna. Under the umbrella project ​Documents of Resistance: Artists of Color Protest (1960s–present), Mexican-American artist Antonio Serna has been creating artwork in the form of visual-research related to the history of art and activism by artists of color. 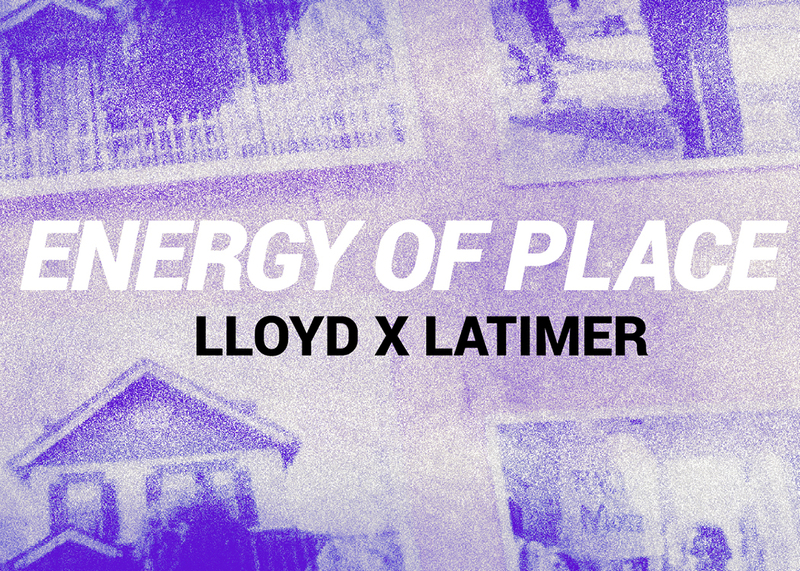 The story of the Latimer House is connected to this history through the efforts of Tom Lloyd, an African-American artists and activist who formed part of the Committee to Save Latimer House. Tom Lloyd was part of a legacy of artists of color that fought for inclusion in New York City’s cultural institutions and helped create cultural spaces where communities of color could celebrate their cultural contributions to society. For this exhibition Antonio Serna has created an installation of artwork as part of his research and tribute to Tom Lloyd. The installation will contain diagrammatic drawings, attempts at creating a catalog of Lloyd’s light sculptures, silver print collages of documents comparing Lloyds activities to those of his contemporaries, and a large photo collage exploring the visual connections between Lloyd and Latimer. He will also present in three parts an on-going self-reflective video that explores his interest in Tom Lloyd’s art and activism, from establishing The Store Front Museum, the first and historically only black-run art museum in Queens, to the saving of Lewis H. Latimer’s house in Queens. In the video narrative Antonio Serna seeks to expand the definition of “Energy of Place”—from the energy that emanates from within historically important places for people of color, such as Latimer House or Store Front Museum—to the energy required to establish such places and the energy required to maintain them—both physically and in memory of. Antonio Serna holds a Masters in Fine Arts from Brooklyn College, and a Bachelors of Fine Arts from Parsons School of Art. His projects have been featured at the Queens Museum, Brooklyn Museum, Loisaida Center, Common Field Convening, Eyebeam, Smack Mellon, and Museo Tamayo. Antonio Serna has taught at Brooklyn College and Parsons School of Design. ​Documents of Resistance​ has recently been included in a new book ​Art As Social Action​, edited by Gregory Sholette, Chloe Bass, and Queens Social Practice (Allworth Press).